The Kruak wetlands has brought a big surprise today with the sighting of a monitor lizard. A tall dead tree nearby was a perfect place for it to bask in the sun. The area seems to be a favourite place for the lizard primarily for its damp and wet ground, thick vegetation to hide and probably for the availability of food. It is also my favourite place for collecting the "Miding' ferns for vegetable cooked with the popular local paste called 'Belacan' of course! On the sidelines I met a lone Shield Bug clinging to the broad leaf of the 'Simpoh Air' (Dillenia suffructicosa). 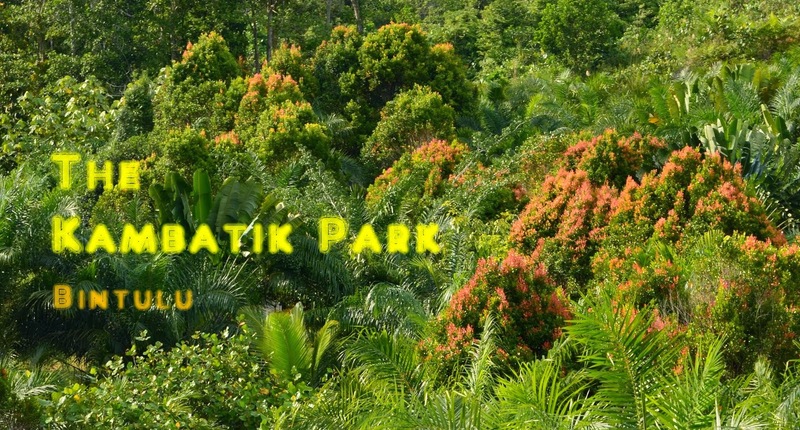 The Kruak wetlands is thickly populated with the Simpoh Air plant. The tall dead tree is seen in the middle of the picture. In front is seen a section of Kruak Wetlands that is thickly populated with the Simpoh Air (Dillenia suffructicosa) shrub. Shield bug, many are seen clinging on to the broad leaf of the Simpoh Air.